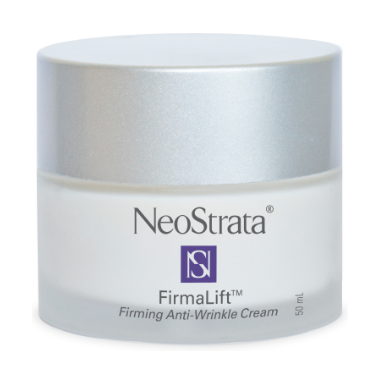 NeoStrata FirmaLift Firming Anti-Wrinkle Cream is the perfect solution for loss of skin firmness and elasticity. Idealift is a lipopeptide that promotes skin elasticity and improves resistance to gravity. This cream contains 4% Idealift. Glycolic acid is the AHA of choice. Its small molecular size makes it effective in removing the build-up of dead cells on the surface of the skin. This cream contains 6% glycolic acid and an ideal pH for better results. Kigeline is a purified extract from the fruit of the Kigelia Africana tree renowned to improve tone and texture of the skin. This cream contains 3% Kigeline. Can feel this firming as it absorbs into the skin. Been using this product for a few years now and love it. I experienced a strong burning sensation every time I tried to use it. I have relatively dry skin, but otherwise I never came across of a similar problem. Burning was bad enough to make me stop using the cream after about 3 times. Love this product! Beautiful on its own or in combination with the youth factor serum. The best face cream I have ever used. And at 53 I have tried quite a few! I am so happy with this product. Just turning 65 and always just cleansed with no moisturizing. Chose this product to try and it works. My skin looks refreshed and younger. Fantastic. Can feel it tightening. This is a great product! I am a young looking 50 year old. My skin is not oily or dry, just normal. When you put this on you can actually feel it tingling and tightening. I have no wrinkles but some fine lines around the eyes. I also use the eye cream.